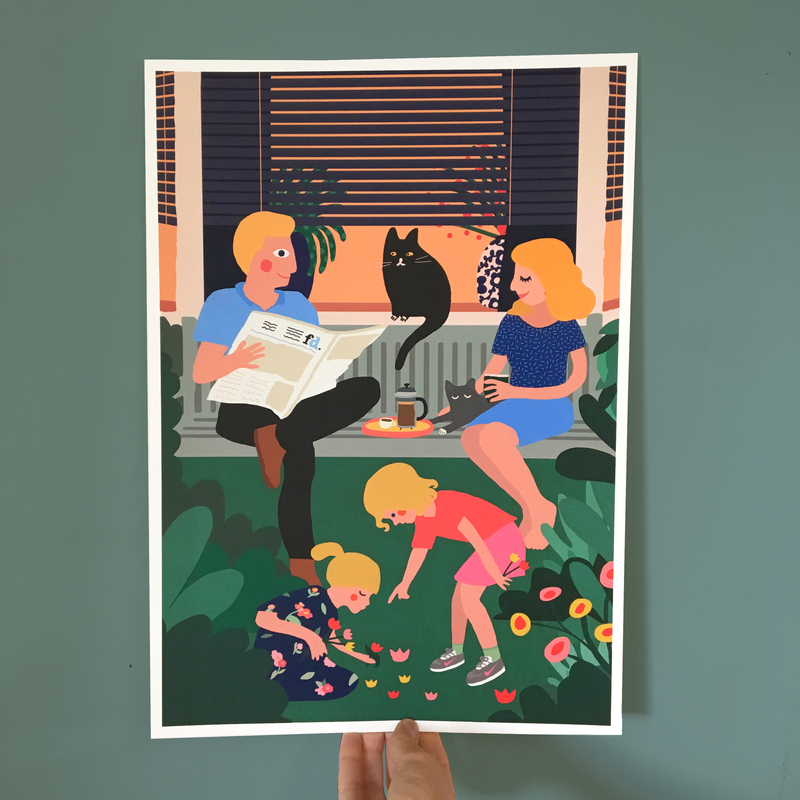 Ellen de Bruijn is an illustrator and Graphic designer who lives and work in Utrecht, the Netherlands. She graduated, specializing in illustration on the HKU 'Hoge school voor de kunsten', Utrecht (2012). 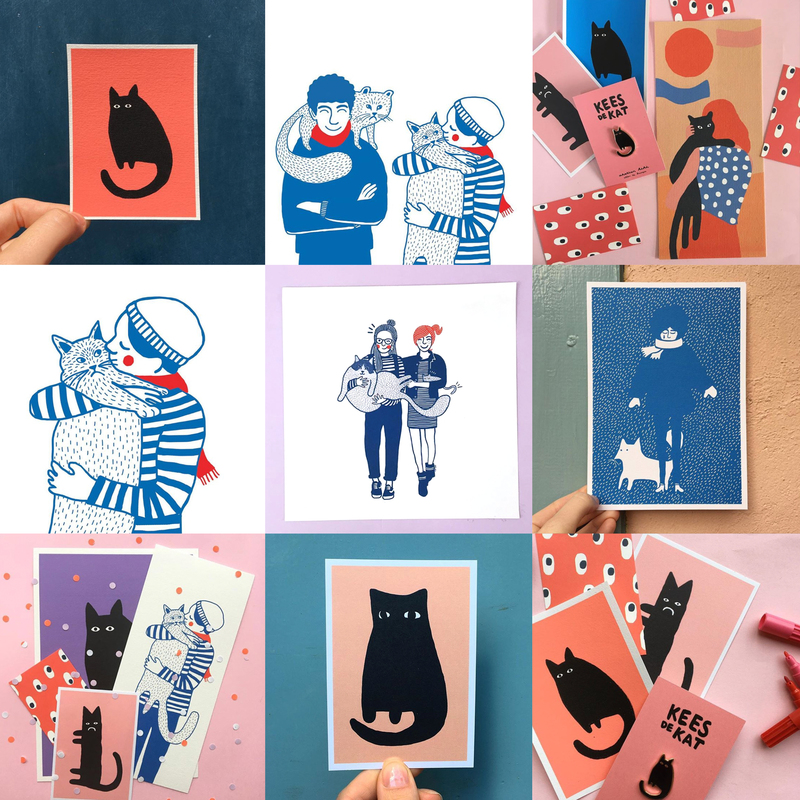 Ellen loves to illustrate lighthearted, and uses lots of color, bold and minimalistic shapes, try to create worlds and is a bit obsessed with cats and other animals. 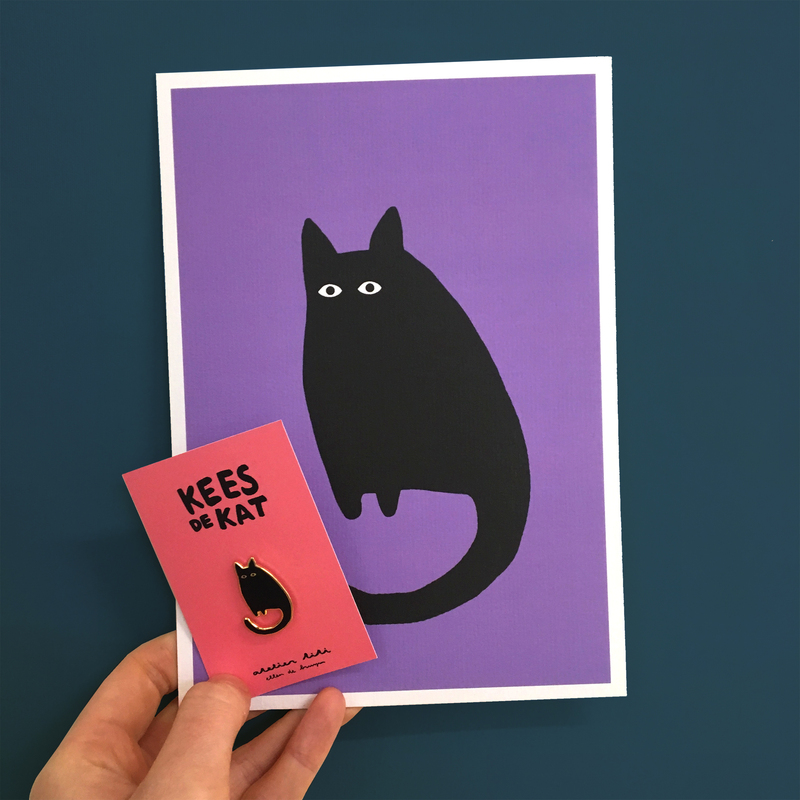 She loves to make packages, products, pins, textile, portraits of humans or animals and so on :) Her work is a mix between hand made elements and digital technique. She makes her own silkscreens in her studio in Utrecht. 🌼🌷 H O M E 🌷🌼 & Joop!